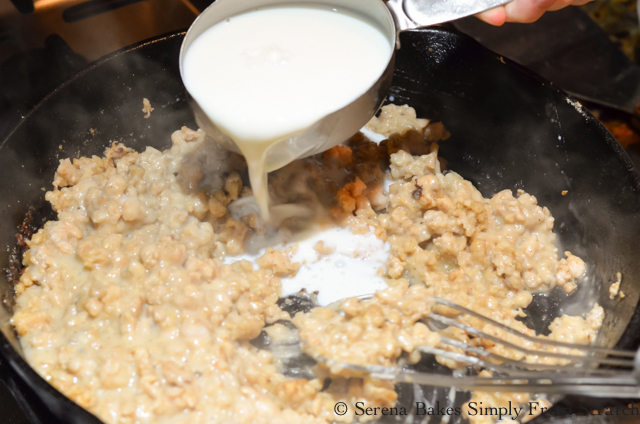 I promised you my beloved recipe for Chicken Fried Steak with Sausage Gravy the other day when I shared my recipe for Buttermilk Drop Biscuits, because they go together like love and marriage...You can't have one without the other. 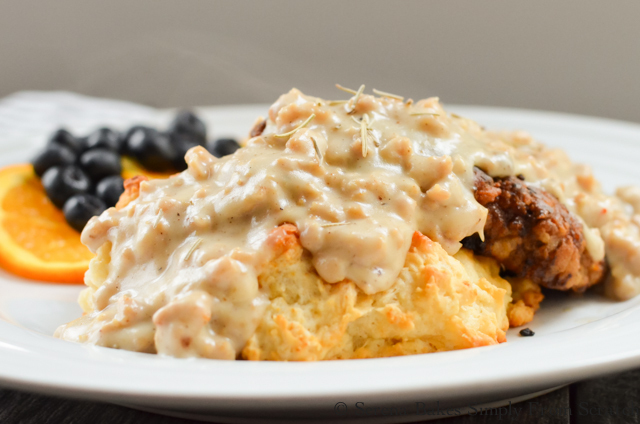 So sorry if you now have that song stuck in your head too, but Chicken Fried Steak, Buttermilk Drop Biscuits, smothered in Sausage Gravy all together really is a must! This is Colt's all time favorite breakfast along side Biscuits and Gravy, so I decided to make it for him because I love that crazy man, and he went out shopping with me at 10pm on a Friday night a few weeks back when the news said we had the windstorm of a century coming. I figured I better feed everyone well before the big windstorm hit, and we lost power for days on end. Luckily the storm never arrived, but everyone was beyond stuffed, and content in food coma! 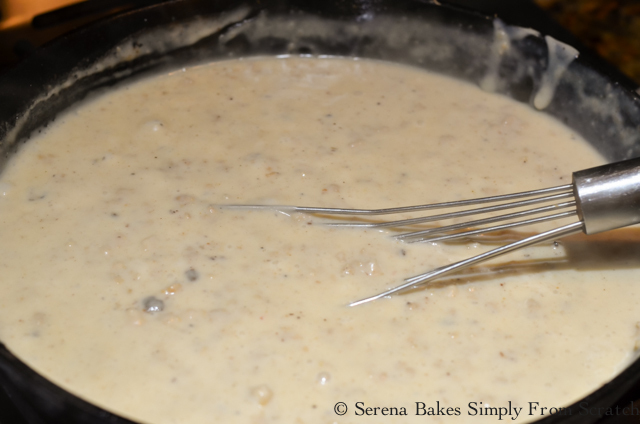 I highly recommend making Chicken Fried Steak with Sausage Gravy for a weekend breakfast or dinner. Whatever you do don't make Chicken Fried Steak during the week for breakfast because once food coma hits it might make it hard to make it through the rest of the work day, as you dream about lounging on your couch in your pajama's drinking coffee, and marathon watching Netflix episodes..
Who am I kidding just make it for the ones you love! They will love you for it! First you'll need 3 pounds Cube Steak. Cover with 2 cups Buttermilk or Milk. 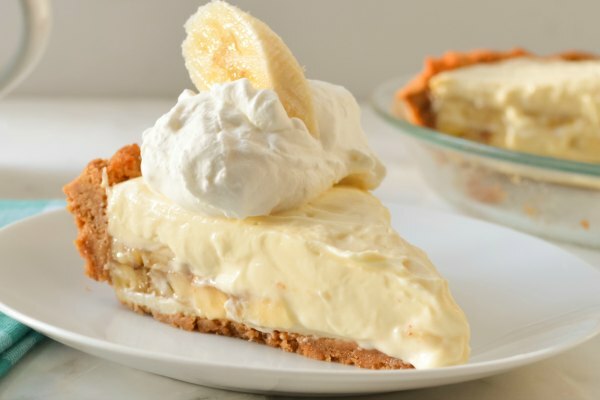 In a pie pan mix together 1 1/2 cups All-Purpose Flour, 2 teaspoons Salt, 1 teaspoon Ground Black Pepper, 1 teaspoon Granulated Garlic, 1 teaspoon Rosemary, and 1/2 teaspoon Thyme. Dredge Cube Steak in flour mixture until well coated. 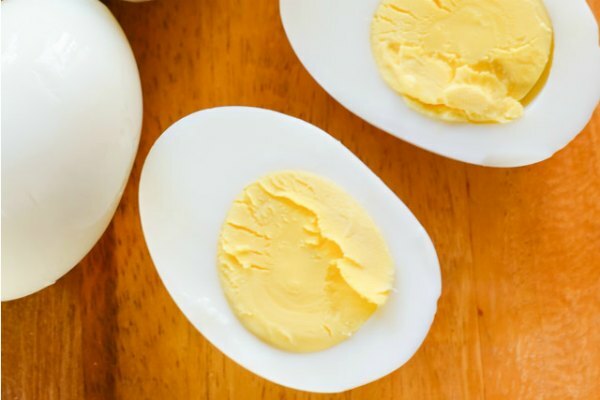 Heat a large heavy duty skillet and 1/2 cup Cooking Oil plus 2 tablespoons Butter over medium-high heat until hot. Add steak and work in batches to leave plenty of room between pieces. Cook until golden brown on both sides. Place in a warm oven on a paper towel lined cookie sheet. Cook remaining steak. 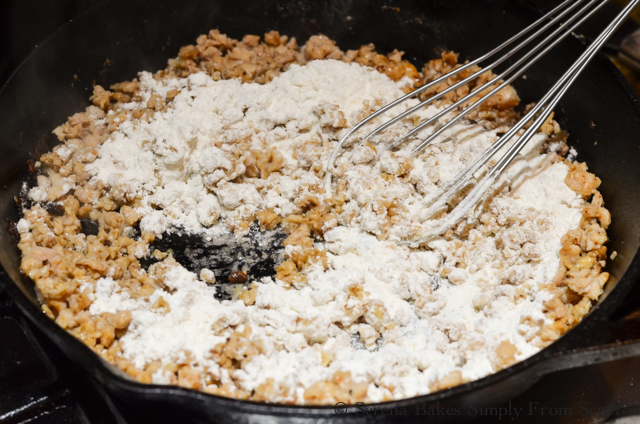 Drain off grease reserving 2 tablespoons, add 1 pound Ground Breakfast Sausage, and brown. Sprinkle with 2/3 cup All-Purpose Flour, stir until well incorporated. Slowly whisk in 1 cup Chicken Stock, and cook until thickened. Whisk in 2 cups Milk. Cook until thickened. Taste, salt and pepper if needed. 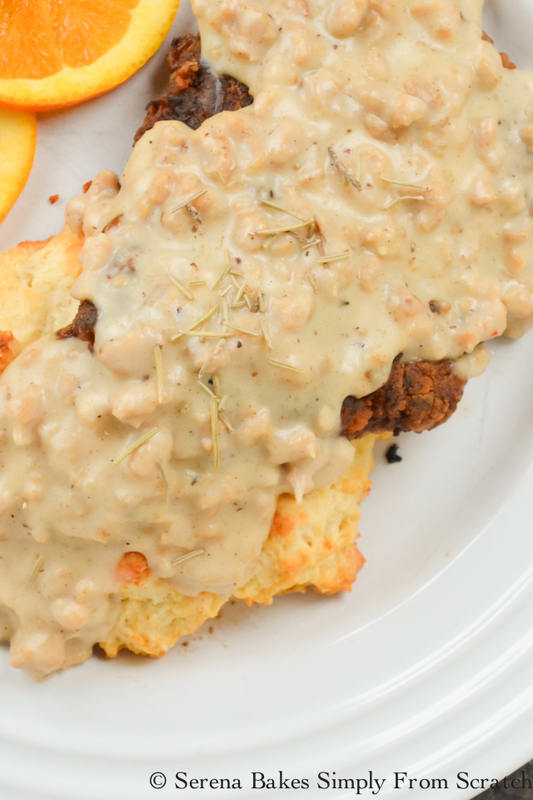 Serve Chicken Fried Steak with Buttermilk Drop Biscuits and cover in Sausage Gravy. 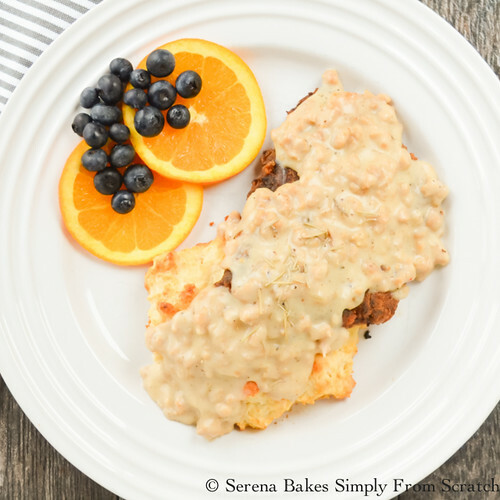 Chicken Fried Steak with Sausage Gravy makes a delicious breakfast, brunch or dinner. So hearty and comforting. 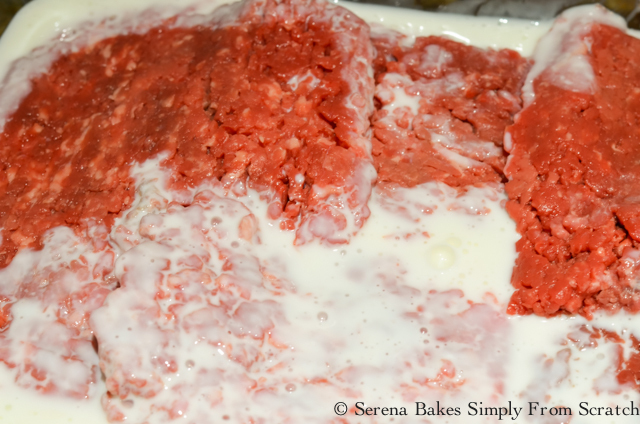 Cover Cube Steak in buttermilk or milk to coat. 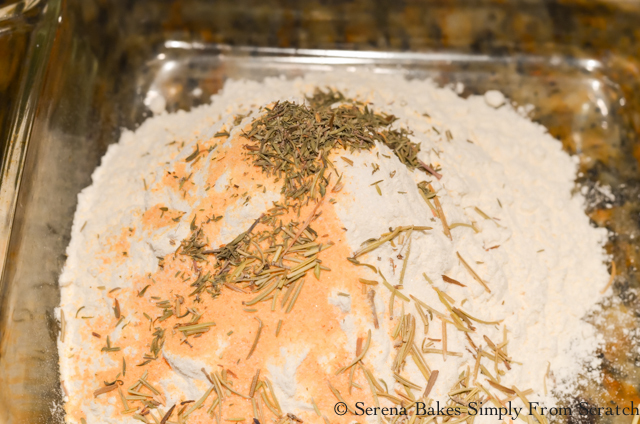 In a pie plate stir together 1 1/2 cups flour, 2 teaspoons salt, 1 teaspoon pepper, granulated garlic, rosemary, and thyme. Heat oil and butter in a heavy duty skillet over medium-high heat until hot. 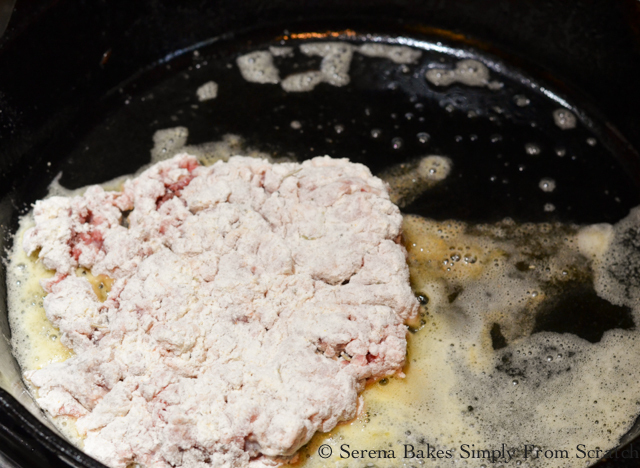 Dredge cube steak in flour mixture and add to hot skillet. Fry in batches to leave plenty of space between steaks. Cook until golden brown on both sides. 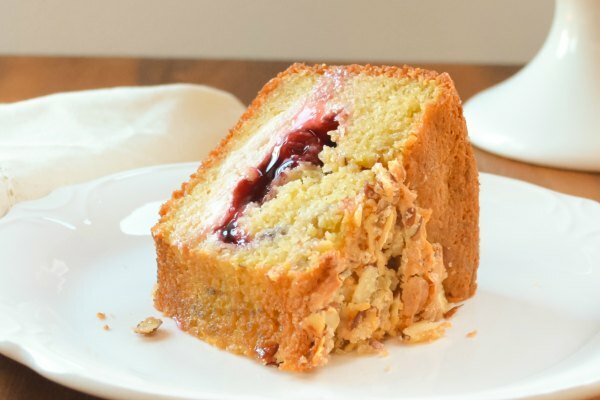 Place on a paper towel lined cookie sheet and store in warm oven. Repeat with remaining cube steak. Drain off excessive grease reserving 2 tablespoons in pan. Add sausage and cook until brown. Sprinkle 2/3 cup flour over the top of sausage and stir until well combined. Slowly pour in chicken stock while stirring and cook until thickened. Add milk and stir until well combined. 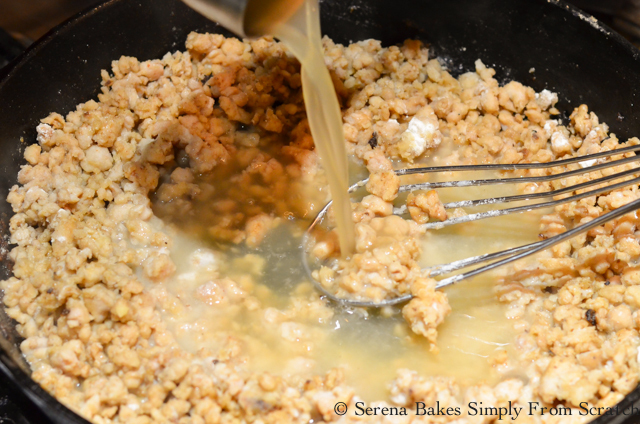 Bring to a simmer and cook until the consistency of gravy. Taste gravy, add salt and pepper if needed. 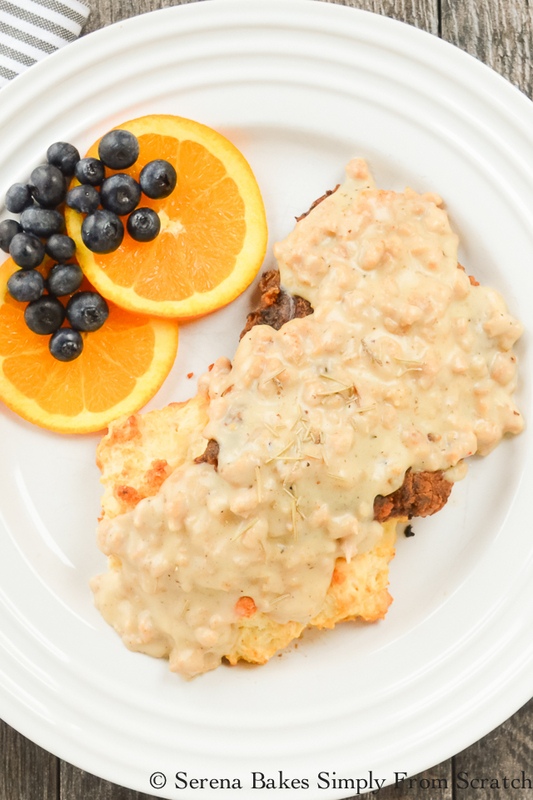 Serve Chicken Fried Steak covered with Sausage Gravy.